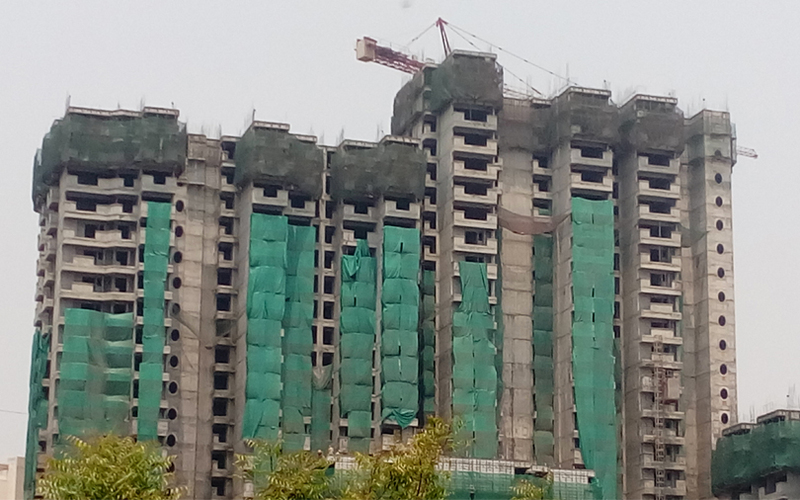 Mumbai-based privately held developer Nirmal Group has secured debt funding of Rs 570 crore ($89 million) from L&T Finance Ltd, the non-banking finance arm of engineering giant Larsen & Toubro Ltd, for a residential project. Nirmal will construct the project in Mumbai suburb Mulund jointly with L&T Realty Ltd, the engineering company’s real estate unit, the developer said in a statement. The project has a saleable potential of about 32 lakh sq. ft and is likely to generate revenue of about Rs 5,500 crore over the next seven to eight years, Nirmal Group said. Of the amount raised from L&T Finance, Nirmal Group will use Rs 400 crore to redeem the non-convertible debentures issued to Kotak Investment Advisors Ltd and INQ Holding LLC, and the balance for the project, the statement added. In December 2016, VCCircle had reported that the Debt Recovery Tribunal directed Jain not to sell his properties as his firm owed dues to subscribers of NCDs. IDBI Trusteeship, on behalf of its clients, had filed a case to recover around Rs 377 crore. The clients were Kotak Investments, INQ Holding and Equity Trust (Jersey) Ltd, which subscribed to the NCD issue in 2014. Jain was a guarantor to his realty company Nirmal Lifestyle Developers for the NCDs. Dharmesh Jain, managing director at Nirmal Group, said the company has more than one crore sq ft of balance development potential in Mulund and that it will enter into similar tie-ups with “like-minded” companies. Nirmal Group was founded in 1975 and is active in the suburban areas of Mulund and Thane in Mumbai. In September 2016, the developer raised Rs 500 crore from non-banking financial company Altico Capital India to pare debt and finish construction of three residential projects in Mumbai.